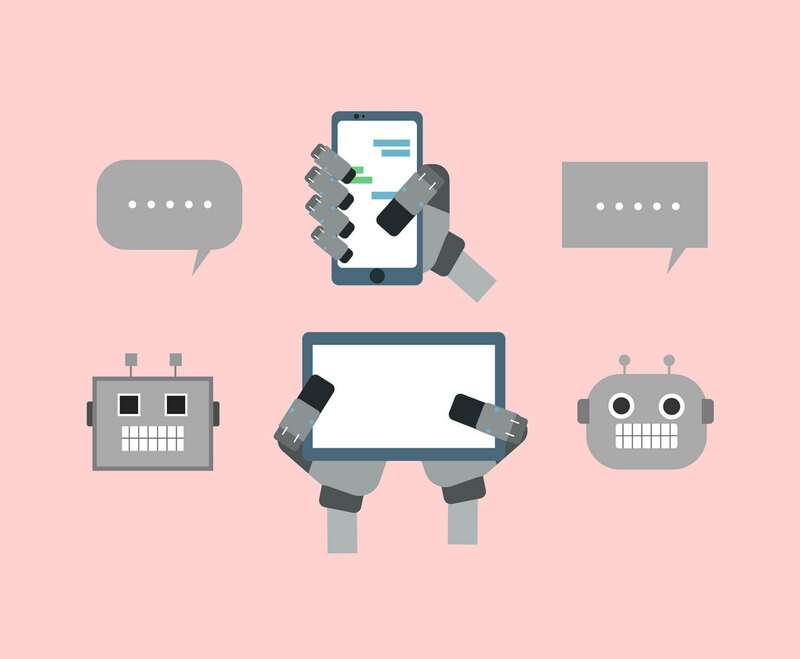 Whenever you design something related to online chat, or chatter box interface, you may need one of this fun chatbot vector design. The chatbot heads are cute and includes chat bubbles and robotic hands holding some communication gadget or devices. This set is completely free and editing the vectors is easy!